Crook Peak Parish is made up of the villages of Badgworth, Biddisham, Christon, Compton Bishop & Cross, Loxton and Weare. There are normally three services every Sunday, moving around the churches. 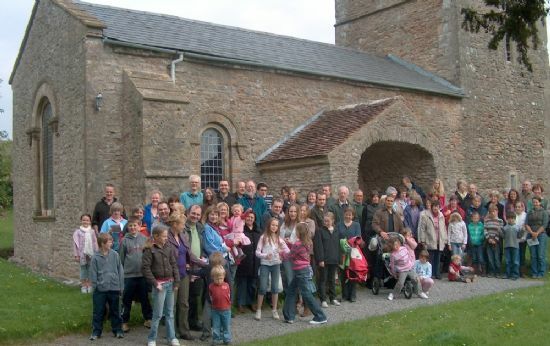 The 10.00am is usually at Weare, as this church is central and has a toilet. For details of the services and where they take place click on “Services” to the left or the back page of “Contact”, the local magazine, which is delivered to your door every two months. We welcome families with young children, and are happy to cope if youngsters are a bit noisy. On the first Sunday in the month we have “Family Service”, which is a time of simple, all-age worship. There is a children’s corner with toys and books for the very young and the Church Room is always open should you need a toilet or nappy-changing facilities. We run house groups for those who would like to enjoy midweek fellowship. We also have a prayer chain, and so if you, or someone you know, needs prayer urgently you are invited to get in touch. We do observe confidentiality in this. Not all is serious, however, and we enjoy a varied social programme, with almost any excuse for a meal or a party. If you would like to come and join us, you can be sure of a warm welcome.